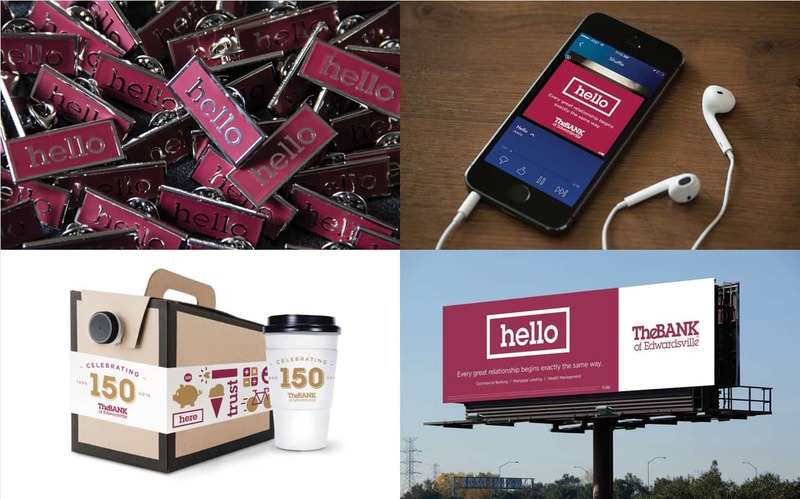 It all begins with hello. 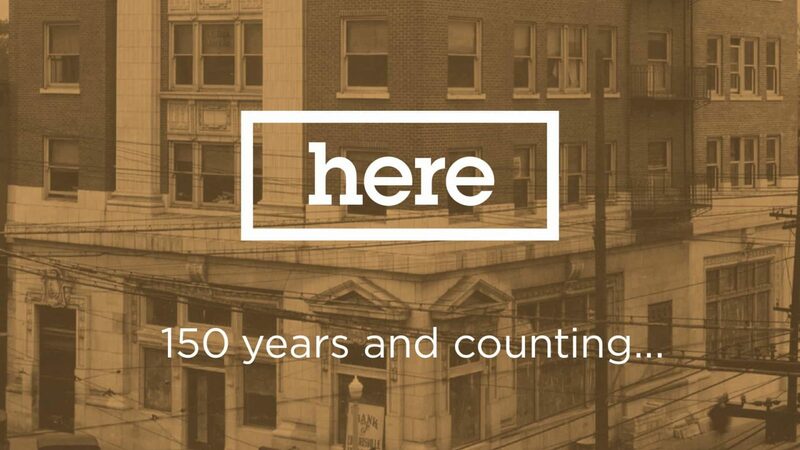 Introduce, differentiate and market a 150-year-old Illinois community bank into the Saint Louis, Missouri market – the second-most saturated financial market in the United States. 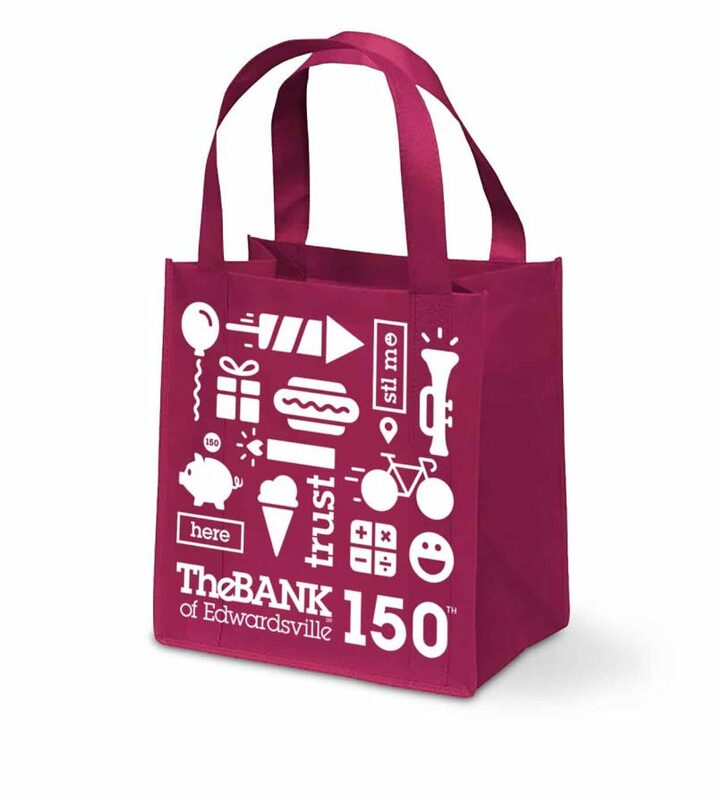 Building on its legacy as a leading community bank in the Metro East (Illinois), TheBANK of Edwardsville expanded across the Mississippi into Missouri. 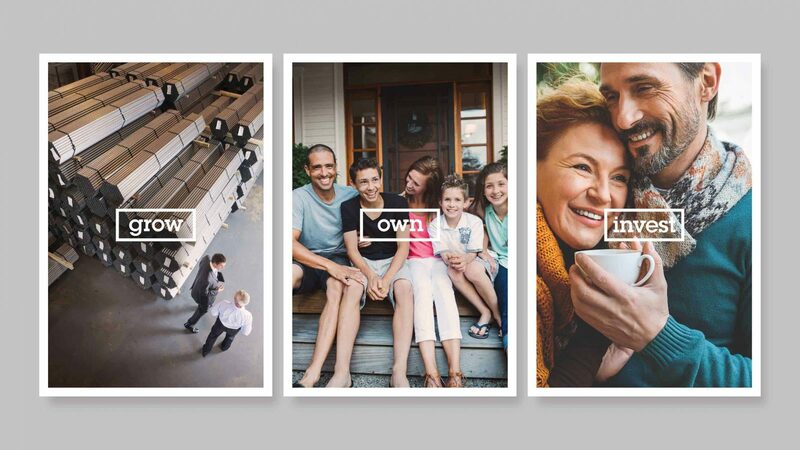 Strategic brand messaging and a new unified brand structure was recommended to unite and promote three primary lines of business – commercial banking, mortgage lending and wealth management. 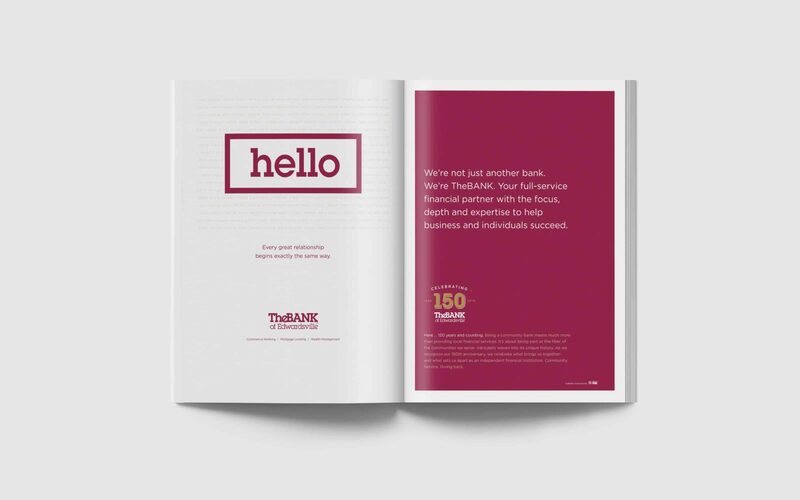 We felt that an approach that began with a conversation and a simple “hello” was in line with the brand at TheBANK – a friendly, neighborly, community bank. It was open invitation to simply meet and talk. No strings attached. Very minor refinements were made to the mark itself, originally designed in 1979. Three sub-brands were created – one for each of the three lines of business that we were focusing on – a unified brand structure. 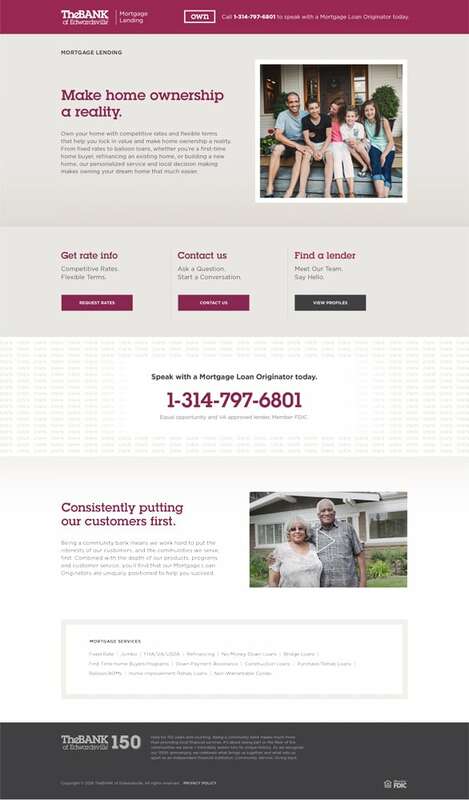 The microsite provided a portal into our three lines of business at TheBANK and the individuals that were there to begin a conversation. Marketing tactics – digital ads, outdoor, radio, and print – were designed to drive traffic to the microsite. 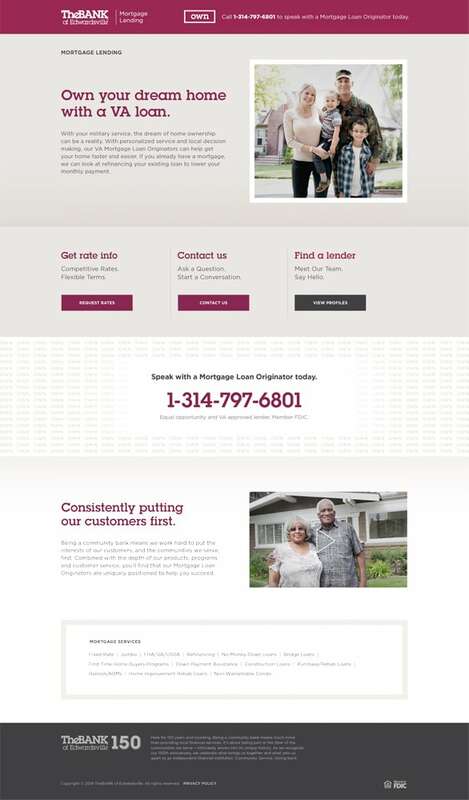 A targeted, digital marketing strategy was integrated across business lines to reach consumers by through geo-targeting or audience demographic segmentation and drive conversions through the microsite. 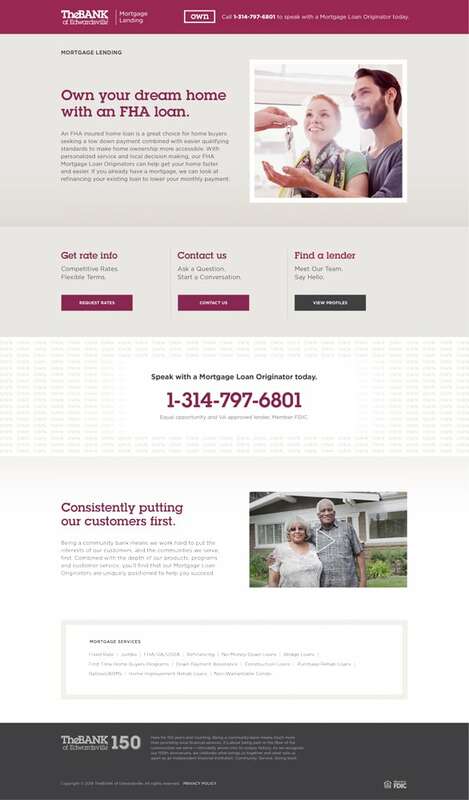 A microsite was developed as a central hub to the campaign – a destination where consumers can be introduced to – and begin – a conversation with a bank representative. This served as a way to keep the conversation going and the financial and banking-related content current. Updates from bank representatives are added and promoted regularly. 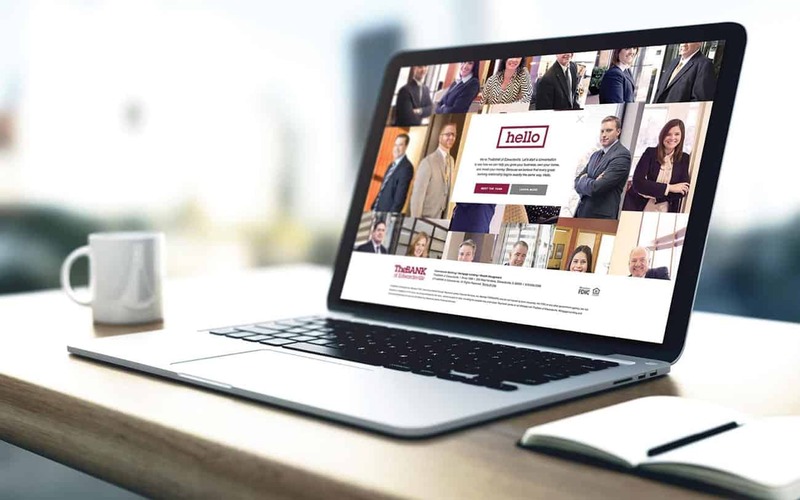 An integrated media buy consisting of targeted digital, print, radio and outdoor boards was implemented to continually drive traffic to the site.